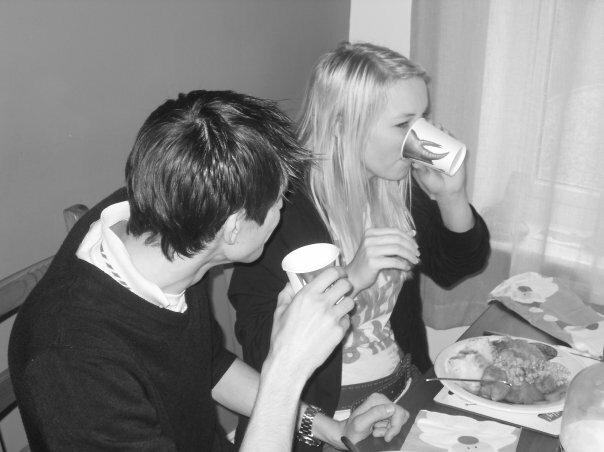 Throwback to 2008 and Joe and I enjoying our first Christmas Dinner together with Joe's family. Granted I think it wasn't actually on Christmas Day as I spent that with my family as we had only been together since October but here it is. Us enjoying drinks out of novelty cups, Joe sporting his favourite England football shirt and me wearing a tshirt with the slogan Boyfriend Season Is Here (Cheesy) that we got on a weekend away in Greenwich. It is so hard to believe this is 8 years ago now. I never would have thought back then that we would be where we are now, looking forward to our first Christmas as a family of 4!